Every year, quite a bunch of martial arts films get produced in China and are then sold to the western territories. So it goes since the 70's and hasn't changed until today. That also means that those films are often adjusted to the western market in terms of reducing the runtime. 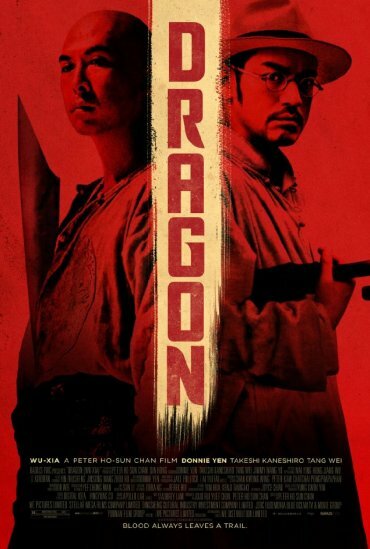 One of those films is Wu xia (international title: Dragon). It was shot back in 2011 and released in Chinese theaters and is already available on DVD and Blu-ray in Asia. Normally, you'd think that the foreign countries have the necessary respect for a film whose title is also the name for a whole genre. But the Weinsteins showed often enough that respect isn't too high a prinicple in their book. Too many European and Asian films were acquired, cut down and then distributed further by the brothers and their company. Obviously, Wu xia was now shortened from its original 115 minutes to a slim 97 minutes of runtime for the international release and has been put out in the US on October 26th, 2012 as a VOD version. Later in November there will also be some cinemas that show the film.